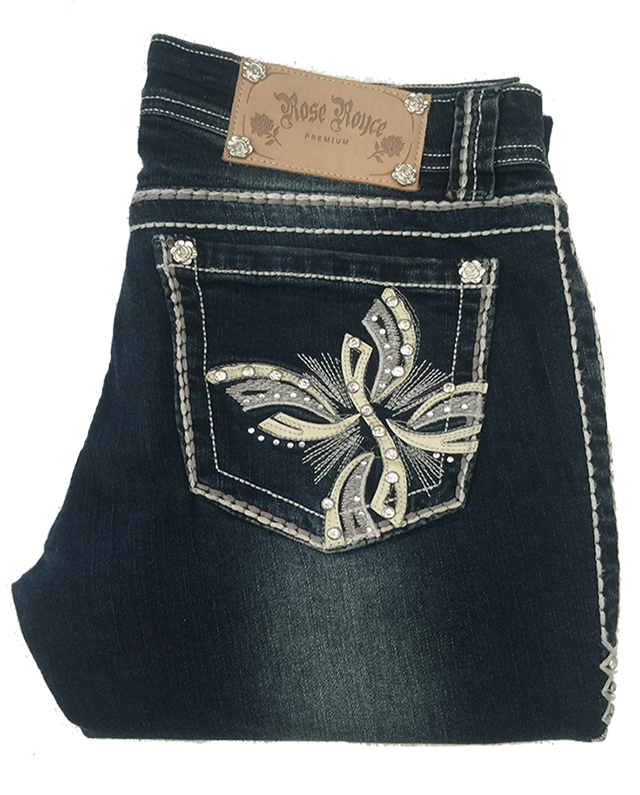 Bootcut jeans featuring crystal and leather detail on back pockets. Signature crystal hem. Mid rise sits comfortably on waist. 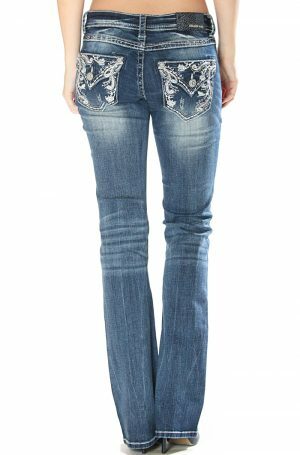 Sizes are in Australian sizes, so please select your regular jeans size that matches the measurements below.